Happy 27th Birthday to the Mac! Happy Birthday to the Mac! Apple introduced the very first Macintosh on January 24, 1984, beginning an era that is still going strong 27 years later. It’s amazing how far things have come, isn’t it? The above pictures of the Mac 128k are from Wikipedia. Very interesting facts, I enjoyed them. Unfortunately, you have a few typos and some run-on sentences Paul. I give you an A for content and effort, but a C on coherence. Fixed… it’s late at night, cut me some slack! 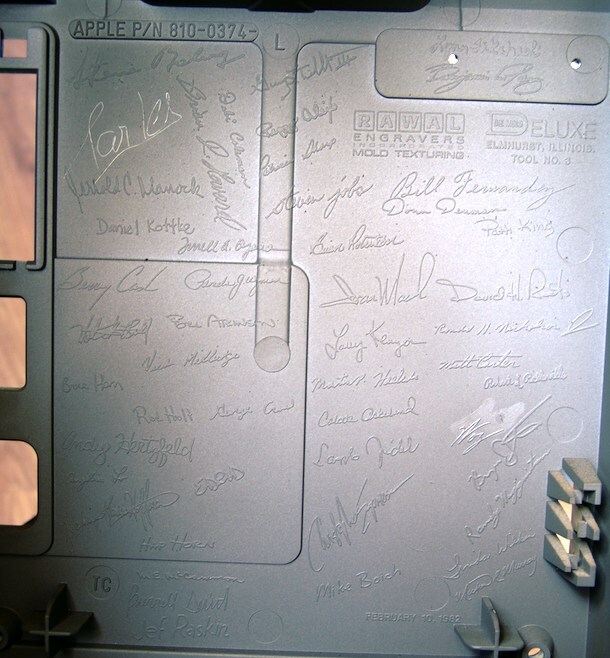 i can’t find steve j or steve woz signature, anyone see them? 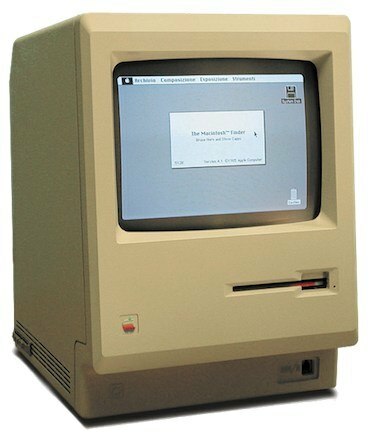 My first Mac was a 512K. I bought a 20mg external drive. Thought I was smokin’! I bought one of these in 1984 through the “Own-A-Mac” program at ComputerLand, where I worked at the time. I also bought the external FDD and an ImageWriter dot matrix printer! I ended up upgrading the Motherboard to 512KB and the external drive to a double-sided floppy drive. I got serious use of it for a number of years and then donated it to a missionary. I’ve had 10 other Macs in various sizes and shapes since, including the PowerBook 100.